Is the Nikon D810A good for Carrying Everywhere? Nikon D810A has a score of 77 for Daily Photography which makes it a GOOD candidate for this type of photography. 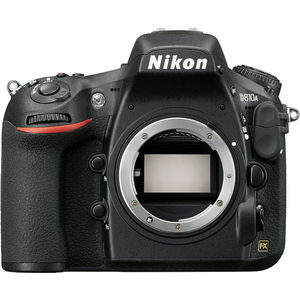 Nikon D810A will satisfy most of your needs, but if you are looking for a camera that is even better suited to Daily Photography, we recommend you to check the Alternative cameras at the bottom of this page. With a thickness of 82mm,Nikon D810A is not a pocketable camera for sure.